Kirby wielding the Triple Star Cane. It's detachable! 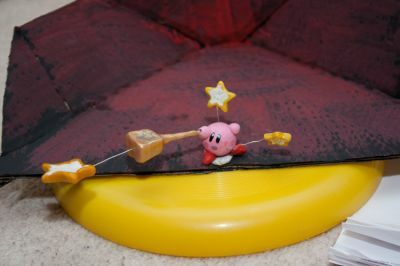 ...Apart from that it leaves a huge hole in Kirby's arm and he still has two stars flying round him.